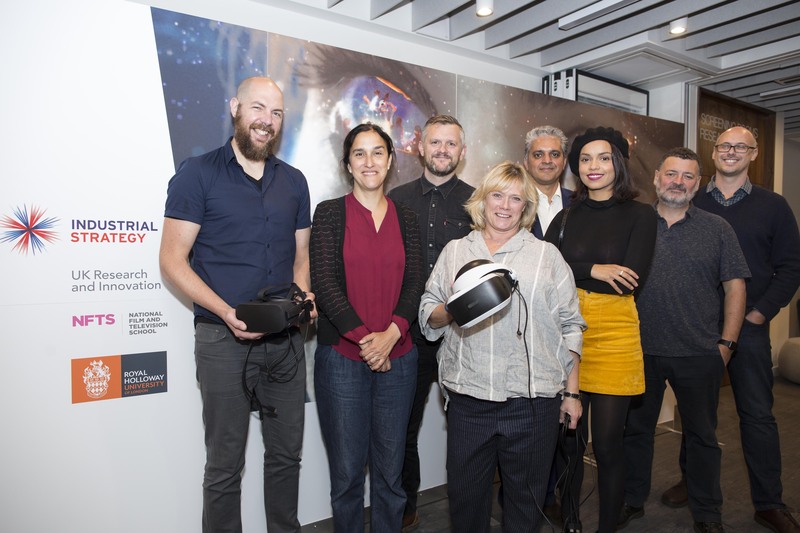 The UK government has awarded the National Film and Television School and Royal Holloway, University of London £10 million in funding to set up a new school for storytelling in VR and AR. The two won a competition against other academic institutions, run by UK Research and Innovation as part of the government's Industrial Strategy. Together, they will set up a national centre for immersive storytelling, which will be known as StoryFutures Academy. This institute will develop new training and research programmes, help to arrange work placements, and run a variety of activities such as experimental labs and workshops - all of which will be centred around virtual, augmented and mixed reality. Jon Wardle, director for the NFTS, told GamesIndustry.biz that it's a smart fit, and pondered the possibilities for the technology. "At the school, we've always had a proud tradition of making sure we're always looking at what the new forms of storytelling are," he said. "Six years ago we started a games course, and it's been fantastic to see its impact on traditional disciplines like composing, sound design and cinematography, where not only are they working on fiction, documentary, animation and films, but they're now also key contributors to games projects. "I think VR, AR and all of those immersive technologies offer the same potential. I've seen enough to be excited about it. PriceWaterhouseCoopers are saying that the sector's going to grow year-on-year at least for the next five years, at least doubling in size each year. "But the missing ingredient seems to be story - and that's our raison d'etre. We're all about storytelling. We're interested in new technologies and we have the relationships with talent that we think is needed to really make the step-change. Our big pitch was if you want immersive technology to move beyond this niche area or marketing experiences, then you need to take traditional high-level filmmakers, game developers and proven storytellers and help them move into this space." "We're seeing glimmers of possibility so far, we're not seeing full, accomplished final products"
Several proven storytellers have already pledged their support for the project, including award-winning filmmaker Asif Kapadia, Sherlock showrunner Steven Moffat, Mr Bean and Coupling producer Sue Vertue, Suffragette director Sarah Gavron, and more. There are also established ties to the world of games, with Enslaved co-writer Alex Garland keen to be involved, and UKIE CEO Jo Twist on the new centre's steering board. And Wardle is keen to draw on the experience of more VR game developers, who have been pioneers in the space. "It feels like games have something of a headstart on film and TV at the moment," he said. "Mario Kart VR is an amazing experience, but it's not a story-led experience. You think about a game like The Last Of Us and you realise that could be interesting in an immersive space. How might that work? What would the point of view look like? We're seeing glimmers of possibility so far. We're not seeing full, accomplished final products." A website for StoryFutures Academy will go live later today, as well as a dedicated section on the NFTS site, where the school will post calls to action for games developers and VR experts to get involved. This will also be the place where the NFTS will share news about the potential for co-funding projects. Thanks to a partnership with the UK Games Fund, the NFTS plans to finance "interesting and hopefully risky" titles that advance the concept of storytelling in virtual or augmented reality. 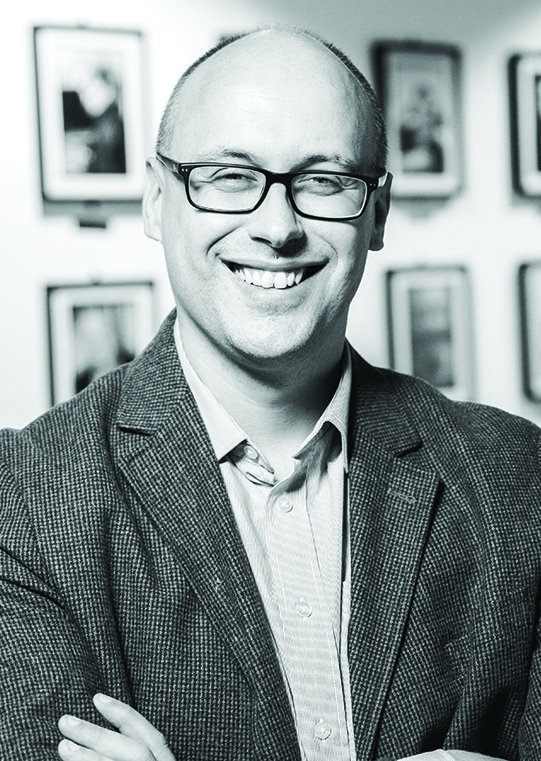 "If you want immersive technology to move beyond this niche area or marketing experiences, you need to take proven storytellers and help them move into this space"
"Over the three years...we've got just under £600,000 to spend," Wardle explained. "We're going to do some calls where we say we're interested in funding and developing projects in a certain area; for example, immersive and non-interactive drama, or multiplayer dramatic experiences for games. We'll do specific calls, and we'll try and always do that with a partner. "The UK Games Fund is committed to work with us on those calls; the BFI has as well, and it's thinking much more broadly on its investment into other screen media, not just film. We'll absolutely be a place that we want people to think about if they've got exciting VR projects that are story-led." The decision to open a national centre for immersive storytelling shows remarkable confidence in the future of VR, AR and mixed reality. While there has been plenty of interest, and heavy investment, in the technology over the past few years, no headset has managed to attract a mainstream audience. Wardle believes creating engaging stories for people to experience will be a key driver of growth in that respect. He also maintained that the popularity and positive feedback for location-based experiences - from Mario Kart VR to The Void's Star Wars: Secrets of the Empire - proves that there is the potential to engage with a mass audience, providing availability improves. "It's not something I can walk into my local arcade to do," he said. "[For Mario Kart] I have to go to the O2, which is the only place where it's available. That feels a bit like where we're at with this tech at the moment, that it's still in this special room we have to go and visit somewhere. "That will change, and having talent to drive projects that enable that change is equally a big part of it. If Alex Garland decides he's going to make an eight-minute drama, all of a sudden traditional film and television companies will be interested in funding that, distributing that, and trying to work out how to get it to audiences. "I think we're in the nascent stage of it - and that feels like a good time to get in and do some cool and interesting stuff to push it forward."